This is an article from our archives that was previously run on another site in May, 2007. 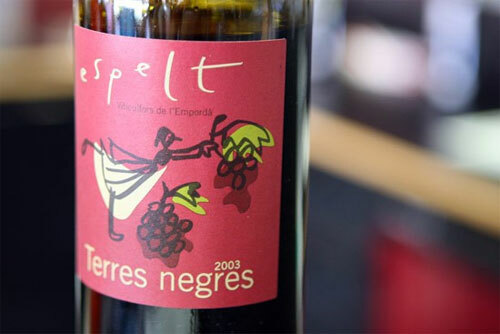 Espelt is a youngish winery that was founded in 2000 on a family property in Vilajuïga in northeastern Catalonia, led by the eldest daughter Anna Espelt who studied enology in the US. In spite of being a traditional, family-run business, it is a cutting edge winery with experimental vine growing techniques and labels designed by Mariscal (famous for having designed the mascot of the 1992 Barcelona Olympics). With this in mind, it’s not surprising that in only a couple of releases it became the biggest winery in the area (the D.O. Empordà) with the largest vineyards. The vast majority of those vineyards are located inside two natural parks in the area, producing mostly local varietals, such as Carinyena and Garnatxa. In the natural park of rugged Cap de Creus, the easternmost cape of Spain, Espelt has reintroduced vines planted in the traditional terraces of dry stones. This area had been a historical wine-producing region until the phylloxera plague destroyed all of it in the late 1800’s and since that point the land was left barren. We had the chance to taste almost the whole range of Espelt wines in their store in Vilajuïga, which includes four whites, two rosés, four reds, four sweets and two caves (Catalan champagne). Being red lovers, our absolute favorite was the upscale Comabruna, a blend of Syrah, Carinyena and Marselan. Produced from grapes that are not sourced and grown only on the Espelt estate, Comabruna is a very deep and smooth wine that has a wonderful plushness free of any sharp tannins. For those that don’t want to spend its decently high bottle price, another suggestion is Terres Negres (Black Lands), a blend of 30% Merlot and 70% Cabernet. With a similar finish than Comabruna but a lighter nose and overall body, Terres Negres is possibly a better value wine with a lovely taste. Of the whites that we tasted, one that stood out for us, was Quinze Roures (15 Oaks), a blend of white Garnatxa and Macabeo. This wine has earned a good degree of fame for being served at the now dearly departed, El Bulli. It tasted a lot like a California Sauvignon Blanc with the slightly sweet, but more tannic finish of a Pinot Grigio. We ended our visit with a taste of Espelt’s famous sweet wines, Solivent (muscatel) and Airam (Garnatxa) that also have cheaper “young” versions simply called Moscatell jove and Garnatxa jove (jove being the Catalan word for young). Both very enjoyable sweet wines, Solivent having a very smooth taste that gives you a hint of green olives, and Airam with its light Garnatxa flavors presenting extremely round, caramel tones. 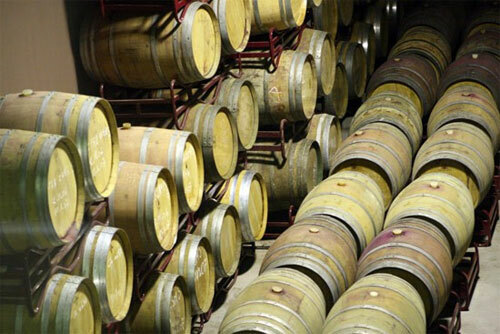 Definitely an enjoyable smattering of wines from this ever-growing winery.